Rotavirus infection in at-risk children correlates with production of serum autoantibodies indicative of type 1 diabetes progression. Oral infection with rhesus monkey rotavirus (RRV) accelerates diabetes onset in mice. This relates to their rotavirus-specific serum antibody titre and local pro-inflammatory cytokine induction without pancreatic infection. Our aim was to further investigate the roles of serum antibodies and viral extra-intestinal spread in diabetes acceleration by rotavirus. Rotavirus-specific serum antibody production was detected by ELISA in diabetes-prone mice given either inactivated or low-dose RRV, in relation to their diabetes development. Serum anti-rotavirus antibody titres and infectious virus in lymph nodes were measured in mice given RRV or porcine rotavirus CRW-8. In lymph node cells, rotavirus antigen presence and immune activation were determined by flow cytometry, in conjunction with cytokine mRNA levels. Acceleration of diabetes by RRV required virus replication, which correlated with antibody presence. CRW-8 induced similar specific total immunoglobulin and IgA titres to those induced by RRV, but did not accelerate diabetes. RRV alone elicited specific serum IgG antibodies with a T helper (Th)1 bias, spread to regional lymph nodes and activated antigen-presenting cells at these sites. RRV increased Th1-specific cytokine expression in pancreatic lymph nodes. Diabetes onset was more rapid in the RRV-infected mice with the greater Th1 bias. Acceleration of murine diabetes by rotavirus is virus strain-specific and associated with virus spread to regional lymph nodes, activation of antigen-presenting cells at these sites and induction of a Th1-dominated antibody and cytokine response. The preclinical phase of type 1 diabetes is marked by immune cell infiltration into pancreatic islets, termed insulitis, and has been extensively studied in NOD/Lt (NOD) mice, which develop overt diabetes from 12 weeks of age [1, 2]. Priming of diabetogenic T cells within the pancreatic lymph nodes (PLN) is essential for the development of diabetes in the NOD mouse [3, 4]. Gut-associated lymph nodes also contain diabetogenic T cells, suggesting that T cell activation also occurs at these sites . Gut-derived and islet antigens artificially delivered via the gut are preferentially presented to T cells in the PLN, further implicating the gut–PLN nexus in diabetes development . Although viruses, particularly gastrointestinal pathogens, are considered to play key roles in modulating the development of diabetes in humans, a direct causal relationship is yet to be defined [7, 8]. Viruses delay or accelerate the onset of diabetes in animal models, not necessarily through pancreatic infection. Some viruses may cause beta cell death indirectly by altering immune cell function outside the pancreas [7, 9]. The gastrointestinal pathogen rotavirus is associated with exacerbations in islet autoantibodies in children genetically at risk of type 1 diabetes [10, 11]. Rotavirus infection in at-risk children also relates to increased bovine insulin antibodies, possibly due to enhanced intestinal permeability and dietary insulin uptake . Infection of insulitic older adult NOD mice with rhesus monkey rotavirus (RRV) accelerates the onset of diabetes. This is preceded by elevated Tnf mRNA in islets . As in humans, NOD mouse autoimmune responses target the islet-specific glucose 6-phosphatase catalytic subunit-related protein (IGRP). Transgenic NOD8.3 TCR (NOD8.3) mice, with >90% of their CD8+ T cells specific for a diabetogenic IGRP epitope, provide a model of rapid diabetes development [14, 15]. RRV infection of adult NOD8.3 mice increases islet Tnf mRNA levels and MHC I expression on islet beta cells, and accelerates diabetes onset. Infection of adult NOD and NOD8.3 mice is asymptomatic and aviraemic, and direct pancreatic infection is not involved in acceleration of diabetes by RRV . In contrast, RRV infection of infant NOD mice induces diarrhoea, viraemia and pancreatic infection and delays diabetes onset . Acceleration of murine diabetes by RRV correlates with the specific serum antibody titre, implicating the systemic immune response . Cytokines produced by CD4+ T lymphocyte subsets (T helper, Th) 1 and Th2 differentially regulate the immune response, with beta cell destruction in NOD mice linked to a Th1-dominated response [17, 18]. As murine Th1 and Th2 cells specifically induce antigen-specific B cells to secrete IgG2a and IgG1, respectively, the relative levels of these IgG subclasses in serum represents the dominance of Th1 vs Th2 responses . RRV infection in adult BALB/c mice induces a Th1 response by Peyer’s patch cells and a predominance of RRV-specific IgG2a . We propose that induction of a Th1 response in NOD mice may be a significant factor in diabetes acceleration by rotavirus. Childhood rotavirus gastroenteritis is associated with the presence of the rotavirus genome in the mesenteric lymph nodes (MLN) . Similarly, MLN in infected infants of diabetes-resistant mice harbour infectious RRV. The cells in the MLN involved are unidentified, although mouse rotavirus replicates in dendritic cells (DC), and possibly B cells and macrophages [21, 22]. The spread of rotavirus to the MLN and PLN in adult mice has not been reported. The importance of the MLN for immune responses to rotavirus, PLN and gut for diabetogenic T cell activation and systemic immune response for RRV-mediated diabetes acceleration show the necessity for this analysis. The main aim of this study was to obtain a more complete understanding of the involvement of rotavirus-specific serum antibody responses in the acceleration of diabetes and to analyse the Th1 response through measurement of specific serum IgG isotypes and measurement of cytokines in PLN and islets. As efficient rotavirus spread to the MLN and PLN, and activation of immune cells at these sites, would be expected to elicit a strong systemic immune response, these also were analysed. We compared the impact of infection by RRV or the related porcine rotavirus CRW-8 on these variables in diabetes-prone mice, in relation to their diabetes development. NOD8.3 and NOD mice were obtained, bred and housed in micro-isolator cages under specific pathogen-free conditions as described previously . ‘Principles of laboratory animal care’ (NIH publication No. 85–23) and the ‘Australian Code of Practice for the Care and Use of Animals for Scientific Purposes (2004)’ were followed. All procedures were conducted in accordance with protocols approved by the Animal Ethics Committee of The University of Melbourne. RRV and CRW-8 rotaviruses were amplified, purified and infectious titre was determined in fluorescent cell-forming units (f.f.u.) as previously described . Psoralen/UV inactivation of RRV was performed and verified as before [24, 25]. Mice were orally inoculated by gavage with virus diluent (mock) or 2 × 106 f.f.u. (unless otherwise indicated) of rotavirus, as before [13, 16]. The inactivated RRV (I-RRV) dose was equivalent to 2 × 106 f.f.u. Mice were inoculated at an age when RRV infection accelerates diabetes onset (5 weeks for NOD8.3 mice; 12 and 15 weeks, respectively, for female and male NOD mice). Approximately equal numbers of male and female NOD8.3 mice were used. Diarrhoea was not detected in any mouse during the first 14 days after inoculation. Mice were monitored weekly for diabetes, as before . Endpoint antibody titres (total immunoglobulin: IgG, IgM and IgA combined) in sera collected at 21 days post inoculation were determined by ELISA using homologous rotavirus antigen and mock-infected-cell control antigen, as before . Rotavirus capture antigens were standardised by chequerboard titration using monoclonal antibody RVA directed to rotavirus capsid protein, to ensure that titres were comparable between virus strains . Rotavirus-specific IgA, IgG1 and IgG2a was measured as above, with horseradish peroxidase-conjugated goat anti-IgA, rat anti-IgG1 and anti-IgG2a (Invitrogen, Carlsbad, CA, USA ) as detector antibodies, respectively. MOPC21 (IgG1) and UPC10 (IgG2a) antibodies were included as isotype specificity controls. Stools (days 1–4 post infection), MLN and PLN were processed as 10% homogenates, as before . MLN were digested for 30 min at room temperature with 1 g/l collagenase A and 40 mg/l DNase 1 diluted in RPMI medium supplemented with 2 mmol/l l-glutamine, 5 × 104 U/l penicillin and 50 g/l streptomycin. Tissues were passed through 70 μm mesh and cells dissociated for 5 min in supplemented RPMI containing 5 mmol/l EDTA (pH 7.2) and 5% fetal calf serum. Staining with anti-CD3–phycoerythrin (PE) (BD Biosciences, San Jose, CA, USA) and anti-CD19–FITC (eBioscience, San Diego, CA, USA) allowed FACS sorting into three populations: B cells, T cells and non-T and non-B cells. Infectious rotavirus was detected by ELISA after sample co-culture with MA104 cells for 72 h (unless otherwise indicated), as before . Homogenates also were analysed by ELISA without prior co-culture. A net mean of absorbance at 450 nm minus absorbance at 690 nm (Ab450 − Ab690) with capture antibody ≥2× that of the same sample reacted with negative control capture antibody was considered as positive. Controls included samples from mock-infected mice. Virus titres (f.f.u.) in ELISA-positive samples were determined as before . NOD8.3 mouse PLN cells isolated as above were antibody-stained at 4°C using anti-CD4–Pacific Blue, anti-CD8α–peridinin chlorophyll protein complex, anti-CD11c–allophycocyanin and anti-CD11b–biotin (BD Biosciences). Biotin was detected with streptavidin–PE. Stained cells were permeabilised, blocked with 10% heat-inactivated rotavirus antibody-negative sheep serum and stained for intracellular rotavirus antigen with RVA antibody  and sheep anti-mouse–FITC (Chemicon, Temecula, CA, USA), in an adaptation of an earlier protocol . For analysis of T cell proportions, cells from PLN and MLN were stained with anti-CD3–AlexaFluor700, anti-CD4 and anti-CD8α. Total RNA was extracted and reverse transcribed as before . Real-time PCR was performed using Assay-on-demand kits (Applied Biosystems, Foster City, CA, USA), with β-actin as the reference gene. Tests (t, Mann–Whitney and Fisher’s) were used as appropriate. Log10-transformed antibody titres were analysed. Diabetes curves were evaluated by Kaplan–Meier life-table analysis. Diabetes acceleration by RRV in seroconverting NOD8.3 and NOD mice correlates with their serum anti-rotavirus antibody level . Here, the relation of diabetes acceleration to anti-rotavirus antibody production was examined. NOD8.3 mice, used because of their earlier diabetes onset, were given either I-RRV or low-dose (2 × 104 f.f.u.) RRV or they were mock inoculated. Mock inoculation produced negative serum anti-rotavirus antibody titres of <1:50, and diabetes curves similar to those in naive mice and our previous experiments . RRV inoculation (2 × 106 f.f.u.) produces virus excretion in 45% of NOD8.3 mice . In contrast, mice given I-RRV or low-dose RRV did not excrete infectious stool rotavirus. RRV antigen was excreted by one mouse given I-RRV on day 2 post inoculation. Serum anti-rotavirus antibodies (total immunoglobulin) were undetectable on days 14 and 56 post inoculation with I-RRV, so rotavirus replication was necessary for a serum antibody response. Significantly fewer mice given low-dose RRV (7/21) than 2 × 106 f.f.u. of RRV (37/37) developed a serum antibody response (p < 0.0001). The geometric mean antibody titre in responding mice (1:300, range 1:50 to 1:6,400) was reduced over mice given the higher RRV dose (1:1,300, range 1:50 to 1:25,600; p = 0.037). Thus, RRV dose influenced the seroconversion rate and antibody titre. I-RRV-inoculated mice developed diabetes at a similar rate to controls (p > 0.05, Fig. 1). Mice given low-dose RRV that seroconverted showed an increased diabetes incidence from 6 to 12 weeks of age (p = 0.02; Fig. 1) whereas diabetes development was unaffected in non-responding mice (p > 0.05). These seroconverting mice progressed more slowly to diabetes than those given 2 × 106 f.f.u. of RRV , further confirming the role of antibody titre in diabetes acceleration. Overall, the presence of an anti-RRV antibody response strongly correlated with accelerated diabetes onset. Porcine rotavirus CRW-8 is serotypically identical to the Ohio State University (OSU) rotavirus strain, which replicates and causes disease in mice [29, 30]. The effect of CRW-8 on diabetes development is unknown. These experiments were conducted in NOD mice, as the skewed immune response of NOD8.3 mice renders them less useful for further mechanistic studies. CRW-8 induced a specific serum antibody response in 90% (68/77) of NOD mice, with a geometric mean titre of 1:2,700 (range 1:100 to 1:25,600). Compared with RRV , 10% fewer NOD mice responded to CRW-8, although their specific antibody titres were similar (p = 0.13). Diabetes curves for seroconverting male and female NOD mice given CRW-8 were similar to those of mock-inoculated mice (p > 0.05; Fig. 2a). No correlation between antibody titre and diabetes onset was observed in CRW-8-infected NOD mice (Fig. 2b, p > 0.05). As shown above and by Graham et al , although RRV accelerated diabetes in NOD mice but CRW-8 did not, these viruses induced serum antibody responses of similar titre in ≥90% of mice. These responses were further investigated by assay of rotavirus-specific serum immunoglobulin classes at 21 days after infection. Total immunoglobulin, IgA, IgG1 and IgG2a was detected in all RRV-infected mice (16/16). In contrast, IgG1 and/or IgG2a was undetectable in 62% (13/21) of mice given CRW-8. RRV- and CRW-8-infected mice showing titres in all these immunoglobulin classes did not differ in total immunoglobulin or IgA titres (Fig. 3a; p > 0.05). However, RRV induced higher IgG1 and IgG2a titres than CRW-8 (Fig. 3b; p = 0.0003 and p < 0.0001, respectively). In addition, RRV-infected mice showed greater titres of specific IgG2a than IgG1 (p < 0.0001), whereas these titres were comparable in CRW-8-infected mice (p = 0.095). This indicated that RRV but not CRW-8 infection favoured the development of an IgG2a antibody response and showed a Th1 bias. The relation between IgG titres and mouse age at diabetes onset was examined in female mice given RRV (Fig. 3c). Male mice were excluded due to their low diabetes rate. 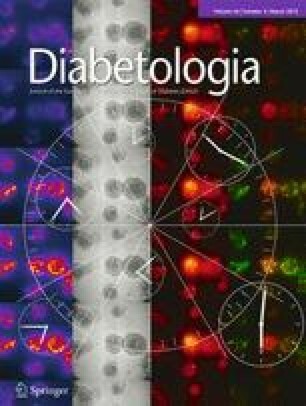 Female mice that developed diabetes by 20 weeks of age showed significantly higher IgG2a than IgG1 titres (p = 0.0017). However, IgG1 and IgG2a titres in mice developing diabetes after 20 weeks were indistinguishable (p = 0.29). Specific IgG1 titres did not differ between mice that developed diabetes up to or after 20 weeks of age (p = 0.60). However, IgG2a titres in mice developing diabetes by 20 weeks tended to be higher than those in mice with later diabetes onset (p = 0.056). No difference in IgA titres between these groups was observed (p > 0.05; data not shown). Thus, development of a higher level of specific IgG2a than IgG1 was associated with RRV acceleration of diabetes in NOD mice. Islet Tnf mRNA is increased on days 7 to 14 in our NOD model . To confirm that RRV infection induces a Th1-biased cytokine response, mRNA levels of several cytokines were determined. In islets, Tnf expression was increased on day 7 (Fig. 4, p = 0.023), Ifnγ (also known as Ifng) was undetectable and Il-1β (also known as Il1b) unaltered (Table 1, p > 0.05). In the PLN, Il-1β and Il-4 (also known as Il4) were unaffected by RRV infection (Table 1, p > 0.05), whereas Tnf and Ifnγ were upregulated (Fig. 4) on days 3 (p = 0.0006 and p = 0.0060, respectively) and 7 post inoculation (p = 0.0014 and p = 0.016, respectively). Thus, pro-inflammatory cytokines were induced in the PLN whereas Il-4 expression was unaltered. Infectious RRV was found in 41% (12/29) of MLN from NOD mice given RRV on days 1–4 post infection only, peaking at day 3; RRV antigen was detected in 28% (13/47) of MLN on days 2–14 after inoculation (Fig. 5a). Fewer PLN than MLN contained RRV, with 15% (2/13) of PLN positive for infectious virus on days 1 and 3 and 19% (5/26) showing RRV antigen on day 3 and days 5–10 (Fig. 5b). With one exception, mice with infectious RRV or antigen in the PLN were similarly positive in the MLN. RRV titres in these MLN and PLN were comparable and ranged from 45 to 1 × 103 f.f.u./organ. In contrast, infectious virus was not found in these sites in the first 5 days after CRW-8 infection, and only 8% (2/25) and 4% (1/25) of these MLN and PLN contained CRW-8 antigen, respectively (Fig. 5c, d). RRV- and CRW-8-infected mice showed similar low rotavirus antigen levels in these MLN and PLN (data not shown). Infectious RRV was detected in 2/8 MLN of NOD8.3 mice on days 2 and 4 post infection at titres/organ of 2.7 × 103 and 32 f.f.u., respectively (Fig. 5e). Infectious RRV was found in 1/4 PLN on day 4 at a titre of 3 × 102 f.f.u. (Fig. 5f). RRV antigen was present in 25% (3/16) of MLN on days 2, 3 and 5 (Fig. 5e), and 3/8 PLN on days 1 and 2 (Fig. 5f). RRV was observed in both PLN and MLN in 1/4 RRV-positive NOD8.3 mice. Cells sorted from MLN of female NOD mice on day 3 after RRV inoculation were co-cultured with MA104 cells. Infectious RRV was detected in the original unsorted population and non-T and non-B cells, but not B or T cells (Table 2). Prolonged co-culture was necessary to detect RRV in sorted cells. As an alternative, cells from the MLN pooled from five NOD mice and enriched for DC were analysed. In three independent experiments, cells in the positive cytometry gate from mock- and RRV-infected mice numbered 50 and 120, 477 and 744, and 380 and 1,800, respectively, so 70–1,420 cells contained RRV antigen. Consistent with sorted cell data, rotavirus antigen was detected in CD3−, not CD3+, cells at a maximum frequency of 1.75%. All rotavirus-positive cells expressed MHC I and II, confirming their identity as specialised antigen-presenting cells (APC). Many of these cells were likely to be DC, as a mean of 28.5% expressed CD11c. The remainder probably comprised macrophages and other DC subsets. Although a B cell marker was not included in this analysis, infectious RRV was not detected in B cells (Table 2). No CRW-8 antigen was detected in cells from the MLN, as cell numbers in the positive gate of mock- and CRW-8-infected mice were similar in each of three experiments. RRV antigen was detected in 0.63% of PLN cells from 1/4 NOD8.3 mice on day 2 post inoculation (Fig. 6), but not on days 1, 3 and 4. Cells in the positive gate numbered 1,133 and 7,763 for the mock- and RRV-infected mouse, respectively. Most RRV antigen (83%) was associated with CD4−CD8− cells, comprising 2.31% of this population. RRV-positive CD4−CD8− cells showed heterogeneous expression of CD11c and CD11b. The remaining 17% of RRV-positive cells also showed variable CD4, CD8, CD11c and CD11b expression. No RRV antigen was detected in PLN cells from CRW-8-inoculated mice. The CD8+:CD4+ T cell ratio was increased in MLN of RRV-infected mice (Fig. 7; p = 0.043), with PLN cells showing a similar trend (p = 0.062), indicating that RRV antigen in lymph nodes is associated with expansion of autoreactive T cells in NOD8.3 mice. Overall, RRV was associated with a minor cell population in the PLN and MLN. Many of these RRV-containing cells in MLN of NOD mice were APC and included DC. As fewer NOD mouse PLN than MLN contained RRV (Fig. 5a, b), RRV-positive APC in PLN probably were too rare for detection and this was not attempted. APC (CD3−MHCII+) in MLN enriched for DC pooled from five mock-, RRV- or CRW8-infected NOD mice at day 3 post infection were analysed for rotavirus antigen and activation markers in three replicate experiments (Fig. 8). RRV-positive APC exhibited a trend towards increased MHC I levels over controls (p = 0.053; Fig. 8a), and expressed significantly more MHC II than RRV-negative APC from RRV-infected mice, and mock APC (p = 0.028 and 0.034, respectively; Fig. 8a). MHC I was elevated on RRV-negative APC (p = 0.044). RRV-positive APC showed a possible trend towards increased CD80 and CD86 expression over controls (Fig. 8b). RRV-positive cells expressing CD11c (mainly DC) also showed elevated MHC I (p = 0.042; Fig. 8c). RRV-positive and RRV-negative cells lacking CD11c showed elevated MHC I (p = 0.0015 and p = 0.041, respectively) and MHC II also was increased on RRV-positive, CD11c− cells (p = 0.046; Fig. 8c). RRV inoculation did not alter the frequency, size or granularity of CD11c+ or CD11c− APC. In contrast, neither CD11c+ nor CD11c− APC in the MLN of CRW-8-infected mice expressed increased levels of these markers (data not shown). In summary, APC (including DC) in the MLN of NOD mice showed signs of activation following infection with RRV but not with CRW-8. These findings identify important relationships between the presence and nature of the rotavirus-specific antibody response, the extent of rotavirus infection and the ability of rotavirus to accelerate diabetes in mice. Acceleration of diabetes occurs only in the presence of a specific serum antibody response. In NOD mice, acceleration of diabetes by RRV correlated with spread of virus to the MLN and PLN, association of the virus with APC in MLN, activation of APC in the MLN, increased pro-inflammatory cytokine expression in the PLN and islets and the generation of a Th1-biased serum antibody response. Infectious CRW-8 rotavirus, which was unable to accelerate diabetes, did not spread to the MLN or PLN, affect APC in the MLN or induce Th1-skewed antibodies. RRV acceleration of diabetes and RRV-specific serum antibody responses in NOD8.3 mice each depended on virus dose and required virus replication, providing further evidence that diabetes acceleration relates to antibody responses. Although childhood rotavirus infection frequently induces specific intestinal IgA without detectable serum antibody , the childhood diabetes studies identified rotavirus infections by seroconversion [10, 11]. Our mouse data indicate that these infections would be more likely to modulate childhood diabetes. The Th1 bias of the immune response elicited, and capacity for spread to regional lymph nodes, correlated with rotavirus-accelerated diabetes. While RRV and CRW-8 infection elicited equivalent levels of total immunoglobulin and IgA, RRV-infected mice developed higher IgG1 and IgG2a responses. This may reflect differences in titres of other IgG subclasses and/or IgM. RRV but not CRW-8 infection in NOD mice produced a bias towards rotavirus-specific IgG2a antibodies over IgG1, indicating a Th1-dominated systemic immune response. Furthermore, the RRV-infected mice with earlier diabetes onset showed an elevated IgG2a but not IgG1 response. PLN and islets also exhibited this pro-inflammatory response. Children with rotavirus diarrhoea also show a strong Th1 bias in their rotavirus-specific serum antibody responses, with IgG1 and IgG3 predominating [32, 33, 34, 35], and virus in the MLN . Specific human IgG1 and IgG3 both result from Th1 responses, and human IgG1 is considered the equivalent of mouse IgG2a . Our findings imply that rotavirus-specific IgG1 and/or IgG3 serum antibody responses in at-risk children may mark infections with diabetes modulation potential. These Th1-biased antibodies likely act as markers of the overall systemic immune response, rather than direct participants in diabetes development. Active involvement of islet autoantibodies in human diabetes has not been identified. However, a higher frequency and strength of serum IgG3 responses to insulin and GAD65 is associated with diabetes progression . It is noteworthy that both rotavirus and enterovirus infections are linked to childhood autoantibody exacerbations [10, 37], as viruses are the most effective inducers of a Th1-biased response. In addition to Th1-related antibodies, we found that RRV-infected NOD mice also exhibited a Th1 bias in PLN cytokine responses. We propose that rotavirus infections capable of inducing Th1-biased antibodies and virus spread to lymph nodes may be associated with production of pro-inflammatory cytokines in PLN and islets. Therefore, screening for rotavirus-specific serum IgG antibody subclasses may assist in identification of childhood rotavirus infections that might accelerate diabetes progression. Although RRV does not spread to the pancreas in adult diabetes-prone mice , we detected infectious RRV in the MLN and PLN. This is the first report of rotavirus infection in the PLN. The non-T and non-B cell population in the MLN contained infectious RRV. APC in the NOD mouse MLN and NOD8.3 mouse PLN harbour RRV antigen. This lymph node spread is likely to play a role in the acceleration of diabetes by RRV, being absent from CRW-8-infected mice. Our data indicate that DC and/or macrophages in the PLN and MLN of diabetes-prone mice harbour RRV. Although their rarity precludes further experimental marker delineation, their variable CD4, CD8 and CD11b expression suggests that RRV associates with several cell subsets. A similar pattern of infectious rotavirus association with multiple subsets of APC occurs in diabetes-resistant mouse strains and human mononuclear cells [22, 38, 39]. The uptake of infectious rotavirus by CD3−CD19− cells indicates that some APC may support virus replication. Whether or not they contained detectable RRV, APC from the MLN, including CD11c+ DC, expressed increased MHC. Some RRV-negative APC might contain RRV at levels undetectable in our assay, explaining their activation. However, cytokines produced by RRV-positive APC in the MLN also may induce bystander activation of other APC. In cultures of RRV-exposed human DC, infected cells upregulate co-stimulatory factors whereas uninfected cells secrete IFNα [38, 40]. Thus, cytokine profiles of activated RRV-positive and RRV-negative APC from NOD mice may differ. Crucially, the presence of RRV in the PLN was associated with the production of pro-inflammatory cytokines, which likely involves DC and T cells. The interactions of RRV with APC may lead to bystander B and T cell activation. Additionally, the elevated expression of MHC suggests that the presentation of antigen to T cells is enhanced, so the possibility of T cell molecular mimicry remains [10, 41]. CD4+ and CD8+ T cells are critical for diabetes development, while B cells contribute to T cell priming [42, 43, 44, 45]. RRV infection increases the number of B cell in PLN and islets and the number of CD8+ T cells in islets , supporting the proposed role of RRV interactions with APC in lymphocyte activation. Overall, these interactions in the MLN are likely to play an important role in the activation of autoreactive T and B cells during diabetes development, involving cytokine production and/or antigen presentation. We are grateful to P. Santamaria (Department of Microbiology, University of Calgary, Canada) for provision of the NOD8.3 mouse, D. Godfrey and S. Turner (Department of Microbiology and Immunology, The University of Melbourne, Australia) for helpful suggestions and S. Bedoui and A. Turner (Department of Microbiology and Immunology, The University of Melbourne, Australia) for their expert assistance with the studies on APC. F. E. Fleming and N. Sanders (Department of Microbiology and Immunology, The University of Melbourne, Australia) provided excellent technical assistance. We thank D. Taylor, R. Hall and E. Rooney (Department of Microbiology and Immunology, The University of Melbourne, Australia) for mouse husbandry. This work was supported by Project Grants (299862 and 509008) and Senior Research Fellowships (350253 and 628319) to B. S. Coulson from the National Health and Medical Research Council of Australia. BSC conceived the study, designed many of the experiments and interpreted these data. JAP, NLW, KLG, GH and CZ conceived and designed some studies, and acquired, analysed and interpreted the data. JAP and BSC drafted the article. BSC, NLW, KLG, GH and CZ revised it critically for important intellectual content. All authors approved the final version.